Known for its thorough coverage of diversity, ecology, and environmental issues, this comprehensive book engages non-majors students with integrated, relevant case studies, and challenges them with thought-provoking questions throughout each chapter. 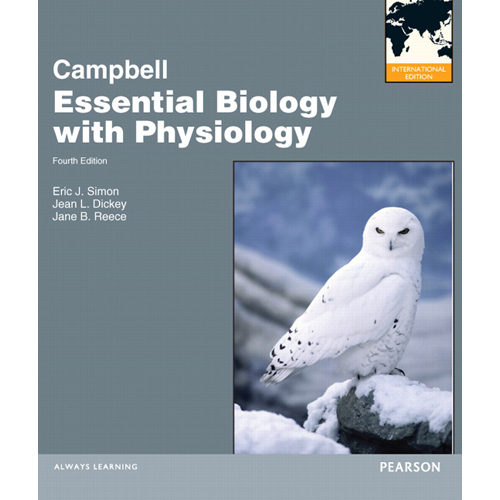 The fully revised Biology: Life on Earth with Physiology, Ninth Edition, has the same friendly writing style appreciated by thousands of students, but with greater emphasis on engaging, real-world applications. New to this edition are “Case Study Continued” sections, which connect a chapter’s case study to relevant biological topics covered in the chapter, and “Have you ever wondered?” features that respond to commonly asked questions from students. Thoroughly revised illustrations and expanded critical thinking questions have been added to each chapter and are supplemented by the powerful new MasteringBiology®program that helps students make effective use of their study time outside of the classroom. For courses not covering plant and animal anatomy & physiology, an alternate version—Biology: Life on Earth, Ninth Edition—is also available. 28. How Do Ecosystems Work?